bit. of. RaNdOmNeSs. for. YOU. Last night's dinner was a success. It was so good, even though I was missing a few ingredients. We had Cheesy Chicken Dorito Casserole. Combine all ingredients, pour into casserole. Top with grated cheese. Bake at 350 for 35 minutes. 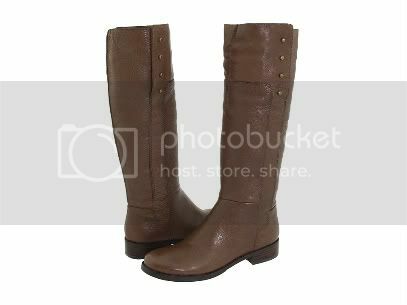 I also want these boots from Nine West. Sure, they have the 'equestrian' feel to em, but I adore them. The question is...Black or Brown!? 1. Get my business off and running! I'm in the process of getting my business plan together. I don't want to elaborate just yet, because well, there is still A LOT going on, and this process is completely OVERWHELMING! I love it though, and the excitement thrills me! I will be sharing more on this soon. Any suggestions? We've been leaning towards Gold's or 24 Hour Fitness. That looks so good! I can't wait to hear about your future business, good luck with that! I loved 90210 and GG last night too, SO glad they're back on haha! Oh, I love those boots!! I belong to gold's gym. In a different state of course. It's a great gym to belong to. I'm loving those Nine West boots! I'd definitely get them in brown :) I sure hope everything comes through with your business! oooomg I am so excited for OTH too! I still love that show. 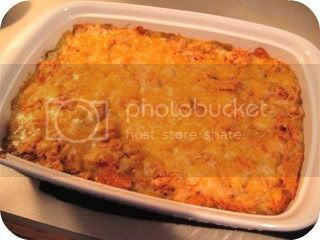 That casserole made me so hungry!! Yum. Good luck with the goals! I love those boots and I would definitely get brown but thats just me!! Im sure they will be adorable in either color!! that looks awesome and I love those boots!! that looks so delish. i want to make that now! Great picks! Love the boots and what a beautiful header.